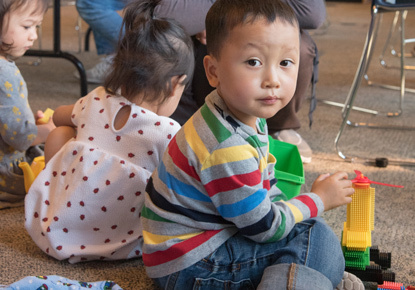 Tuesday, Feb. 19, 2019, 10:30 a.m. – 12 p.m.
Children listen to stories, sing songs and do simple arts and crafts with their caregivers during the group time. There is also play time for children to explore various toys and play activities. Free play and circle time for children & caregivers from 10:30 a.m. – 11:15 a.m. Caregivers are encouraged to bring a lunch or snack and eat together from 11:15 – 11:30 a.m.